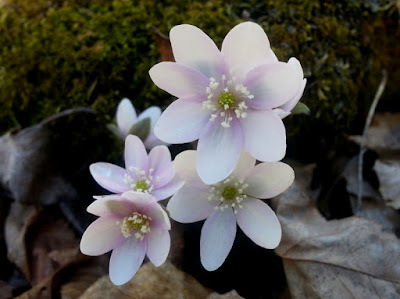 Hepatica: This tiny, fresh-smelling flower is one of the very first to appear in the woody areas in spring. Hepatica grows low to the ground and can be pink, white, purple, or blue. If you look closely, you will see that hepatica is furry! These tiny hairs on the stem are another protection from early spring temperatures. You can find hepatica at Niquette Bay. Trout lily: This is a common spring ephemeral, and can be found in large colonies. The name comes from the coloring of the yellow flower and brown speckled leaves. Try to find trout lily at Coolidge State Park. Trillium: Trillium is a spring ephemeral that can tolerate extreme cold, and comes in many colors, including red and white. Unlike hepatica's pleasant smell, red trillium has an unpleasant odor, which explains why it's sometimes called "stinking Benjamin". 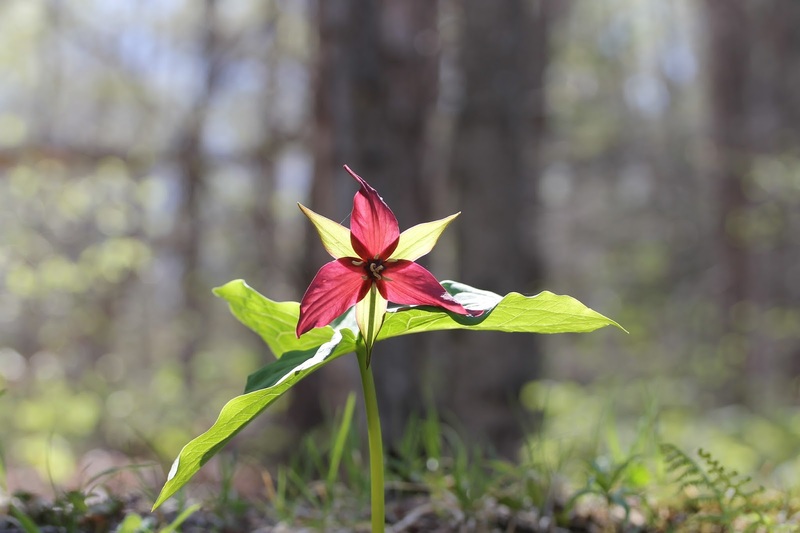 Look for trillium in Gifford Woods State Park. Bloodroot: A white flower, sometimes with a pinkish tinge. Bloodroot likes moist, well-drained soils in shady woody areas, and can grow in large colonies. Bloodroot has a history as a medicinal plant, and as a natural dye. 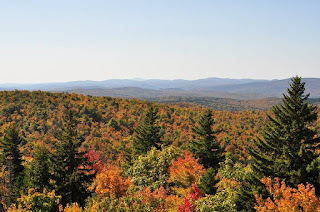 It has been spotted near the trails around Branbury State Park and in the adjacent Green Mountain National Forest. 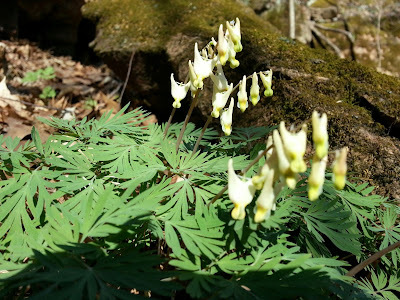 Dutchman's breeches: Common to a large part of the eastern U.S, this distinctive flower likes well-drained soil and often grows along limestone ledges. 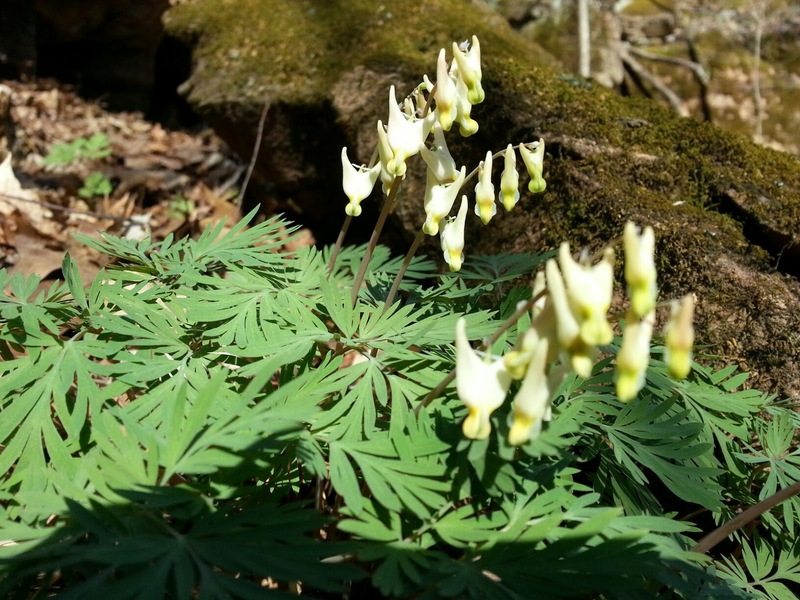 Bees especially like dutchman's breeches, and in fact the feeling is mutual. The flower heavily relies on bumblebees for pollination, since the bee's long legs and snout are strong enough to get inside the "pants" of the Dutchman. Look for this one at Niquette Bay. Stay on paths and try not to disturb plant colonies. Clean up after your pet. The nitrogen and phosphorus in dog poop doesn't "fertilize" fragile plants- it can kill them! Don't pick flowers. 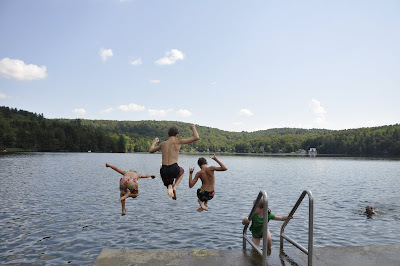 Not only is it illegal to do so State Parks, it destroys the seeds that would cause the plans to grow year after year. For extra credit, keep one eye out for invasive plant species such as buckthorn, barberry and shrub honeysuckle. that also bloom early, but unlike spring ephemerals take a full season to complete their life cycle.